Proper and regular cleaning will reduce the possibility of the E. coli contamination that you might experience in the absence of the cleaning. You need to maintain and clean your meat grinder regularly to keep it hygienic. In addition to the cleaning, proper storage is also important for durable use. Do you want to know how to clean a meat grinder? Are you looking for some tips to make the process easy and more effective? If yes, then this article is written for you only. This article will focus on how to clean a meat grinder and why proper storage is important to ensure the durability of the product. How to take care of blunt blades? Before cleaning your meat grinder, first, you will have to remove the raw meats from your grinder. Many people use the bread through the tube to clean the meat from the blades and the tubes. You can also use a sponge if the bread does not serve the purpose. It will help you to remove the leftover pieces and then you can clean the grinder easily. After removing the leftover pieces, you need to clean your machine to avoid any bacteria build up. To start with, you will have to first disassemble your machine. Make the process slow and do it carefully to avoid any breakage. Moreover, you will have to very careful while handling the blades. Any ignorance or mistake can cause injuries. After dissembling the parts, now you can clean the parts. You will have to clean all the parts manually. If you use a dishwasher, it can damage the metal areas, and the blades sharpness will also be affected. 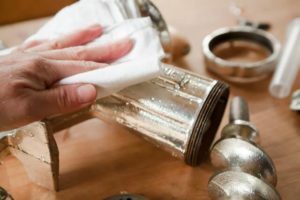 For the cleaning, make a solution with the combination of lukewarm and soapy water and then use a sponge to clean all the possible areas with that solution. You cannot clean the small and unreachable areas like the hopper and feed tube with that soft sponge. You will have to use a thin brush to clean those areas. If it is an electric one, you will have to be more careful to ensure that the water will not damage the motor. Moreover, you need to be very attentive while cleaning the blades. The blades are very sharp, and you can hurt yourself in no time without proper attention. After using the sponge or brush to clean your meat grinder, you can use the normal water for the washing. Washing with the normal water will be required to clean the soapy water. After the cleaning is done, you can use a soft towel to dry the parts. Any moisture can cause rust. There will also be some plastic parts that you can keep in a separate cool place for the drying. Once all the parts are dried up, you should consider a right storing method to ensure the longevity of the product. Proper storage is essential if you want to use your meat grinder for a long time. One problem of the metal parts is that is can be rusty without adequate attention. To avoid such possibility, you can simply spray the food grade mineral oil on the inside and outside of all the metal parts. For the storing, you can consider any dry place. Choose a place that has no water access. If you have enough space in your freezer, you can consider storing your meat grinder. Storing in your freezer will prevent any rust and will also keep all the bacteria at bay. Another benefit in storing in the freezer is that you can use it instantly whenever required without any cleaning. If you are planning to store it in your freezer, then avoid the oil spraying. As mentioned earlier, the blades are very sharp, and that need to deal with utmost care. But while buying the meat grinder, you should buy one with sharp blades. Dull blades will not grind the meat properly and will also cause the meat to spread all over the place. If you feel that the blades are blunt, you need to sharpen them to enhance the performance level of your grinder. 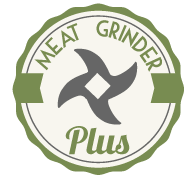 You should keep your meat grinder in the freezer for hours to avoid the excessive heat during grinding. Cut the meats well to avoid any possibility of being blocked. Sharpen your blades whenever required to improve the performance and to make the process less time-consuming. Clean you meat grinder manually. The dishwasher might damage some metal parts. 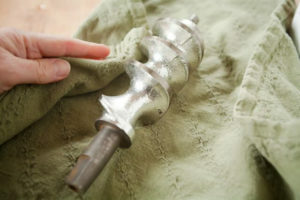 These are a few things that you need to follow while using a meat grinder. Regular cleaning, proper maintenance, and right storage are essential to get the optimal result. Moreover, if you do not clean a meat grinder regularly, it will not only affect the productivity of your machine; it will also build bacteria that can pose serious health complications. To avoid all these possibilities, you should consider cleaning your meat grinder regularly. Regular cleaning will demand less time and will provide fresh meat as well.